On this day, 71 years ago, was born a man who took the NBA from a moderately successful minor league in the USA to a wildly popular, lucrative, global corporation. 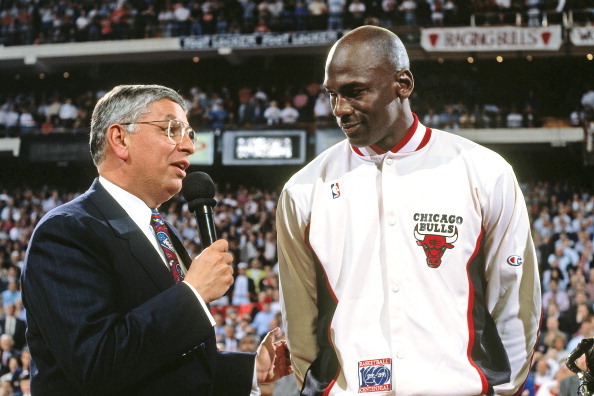 David Stern, the outgoing commissioner, has achieved this monumental feat in 30 long years. He was not just the greatest marketing strategist in the league, he was also one of the toughest, smartest and most resilient human beings to have ever been associated with the NBA. Stern announced in October 2012 that he’d be giving up the post of the NBA commissioner on February 1st, 2014 – 30 years to the day after he took over in 1984. Stern was not always the most popular man with the laws and regulations he enacted. He underwent numerous public trials, but always put the NBA’s best interests ahead of his own. When he retires, his legacy will live on through the impact he had on the game. Here’s the story of how an ordinary lawyer, who entered the league as an outside counsel, became the league’s most influential personality. When Stern took over in 1984, the NBA was in transition. The stars of yesteryear (Wilt Chamberlain, Bill Russell, Oscar Robertson) had long since retired. They say fortune favours the brave. This is certainly true in the case of Stern. As fate would have it, 1984 saw the entry of four of the NBA’s biggest superstars - Michael Jordan, Hakeem Olajuwon, Charles Barkley and John Stockton. Magic Johnson and Larry Bird, the future superstars, were just getting acclimatised to the NBA. 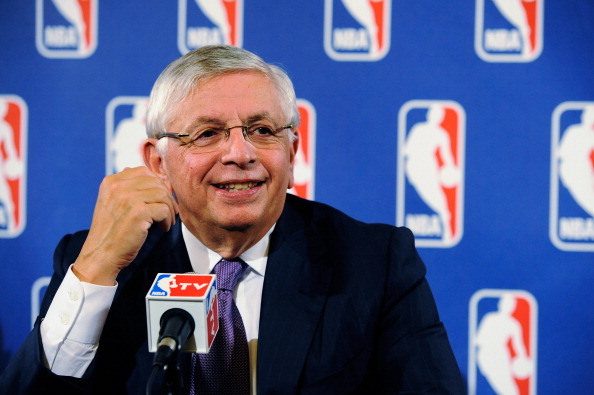 The stage was set for an exemplary leader to carry the NBA’s legacy forward, and one was found in David Stern. Stern realised the importance of this issue and he enacted the league’s first drug testing program in 1983 when he was the Vice-President. After he took over in 1984, he put his policy into practice. From 1986 to 1995, the world watched as the league got cleaned up. Eight players got suspended for drug usage. Once Stern had controlled drug abuse, he turned his attention to the fiscal aspect. Stern realised that he had a phenomenal set of athletes in the league and decided to make the most of that. He supervised the transition of the league’s players into the Olympics. The 1992 “Dream team” comprised of supreme talents like Bird, Johnson and Jordan. Stern’s marketing of this team caused them to receive a stupendous welcome in Spain. Their gold medal didn’t hurt the league’s ratings either. He realised that fans loved to see the players score. To capitalise on this, and to increase the on-screen appeal of the NBA, Stern instituted several regulations on what defenders could and couldn’t do without being called for a foul. While this curtailed defensive prospects, it certainly increased TV ratings. As offensive production increased, people starting flocking to the arenas and the game’s popularity grew. These changes in the image of the NBA increased the revenue. The league was worth $12 billion in 2012, compared to the relatively trivial $400 million it was worth in 1984. Unfortunately, with more money, came more problems. When the league’s saviours retired to spend quality time with their family, the NBA saw a dramatic shift in culture in the new crop of players. It was the late 1990s, and the hip hop revolution took the league’s players by storm. Most of the league’s brightest stars, like Allen Iverson, had risen from the country’s toughest regions while the ticket holders were relatively more well to-do. This caused immediate friction between players and fans. The new crop of players was very different from the predecessors in terms of fashion and attitude: Clothes got baggier, and bling jewellery and caps became popular. Tattoos were a form of showing how tough a player was. While all this didn’t affect the players’ performance on the court, the general public started calling these players “criminals”. Tensions ran high and were quickly reaching their boiling point, especially during press conferences. Stern realised that most of the players were being perceived as immature by the fans. To combat this and the above mentioned cultural differences, Stern implemented the controversial dress code. The new dress code banned fashions most often associated with hip-hop culture, specifically: jerseys, jeans, hats, d0-rags, t-shirts, large jewellery, sneakers and Timberland style boots. Players were required to wear “business casual attire” whenever they engaged in league or team activities. While this was perfectly sound logic, some of the players didn’t see this the same way. 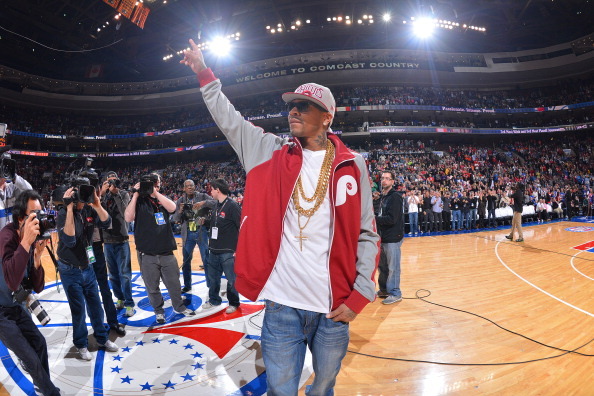 Allen Iverson felt Stern was targeting him and players like himself. Stern though, looked at it from a different angle. He felt the code was just to protect the players from unnecessary scrutiny.